The Omaha Community Playhouse recently cast the opening musical for the 2012-13 season, Legally Blonde. Based on the hit movie, Legally Blonde follows blonde beauty Elle Woods as she journeys from her California campus to Harvard Law School. This sassy story of self empowerment is a hysterically funny, feel-good musical with catchy songs and unforgettable characters. Legally Blonde will leave you singing "‘Omigod You Guys’ let’s go again!" Sept. 14-Oct. 14, 2012; Wednesday–Saturday, 7:30 p.m. and Sunday, 2 p.m.
Tickets go on sale to subscribers Aug. 28 and to the public Sept. 4. ACT II kicks off the 2012-13 season with its annual fall luncheon on Tuesday, Sept.18. Guests will be treated to an informative look at the upcoming production of Legally Blonde by Director Carl Beck. ACT II is open to anyone who would like to become more involved with the Omaha Community Playhouse. This important group assists with fundraising by hosting two major events annually. The first is a holiday event that traditionally coincides with the opening weekend of the beloved classic, A Christmas Carol. The second event is the annual gala in the spring of each year. We invite you to join ACT II and enrich your OCP experience. The Omaha Community Playhouse production of Pulitzer Prize and Tony Award winner August: Osage County was recently cast. Tickets on sale Aug. 7. This production includes strong language and adult situations and is intended only for mature audiences. Omaha Community Playhouse patrons can receive $10 off tickets to Film Stream's Feature IV with Jane Fonda and Alexander Payne. 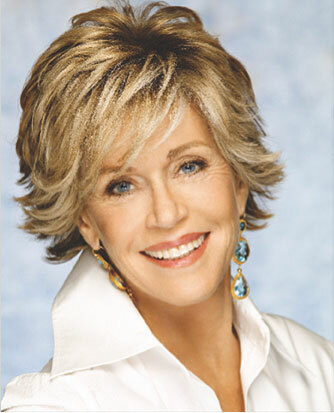 Film Streams welcomes Academy Award-winning actress Jane Fonda as the special guest for Feature IV, the fourth fundraiser celebration in support of Omaha’s nonprofit cinema. The main presentation will begin at 6:30 p.m., when Fonda will take center stage in the Holland Center’s Peter Kiewit Concert Hall for a conversation with Oscar-winning director and Film Streams Board Member Alexander Payne about her career on stage and screen. 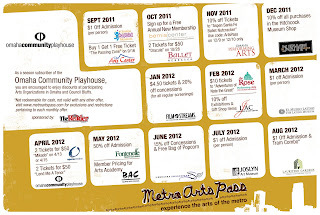 All proceeds support Film Streams' Ruth Sokolof Theater. Omaha Community Playhouse supporters can enter the promotional code “playhouse” for $10 off Presentation-Only tickets (regularly $35) to Film Streams’ Feature IV with Jane Fonda and Alexander Payne (Sunday, July 22) at the Holland Center. For tickets, click here and enter the code directly above the “Order Now” button.